Cisco Certified Network Associate (CCNA) Routing and Switching is a certification program for entry-level network engineers that helps maximize your investment in foundational networking knowledge and increase the value of your employer’s network. 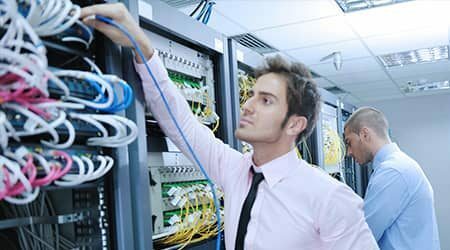 CCNA Routing and Switching is for Network Specialists, Network Administrators, and Network Support Engineers with 1-3 years of experience. The CCNA Routing and Switching validates the ability to install, configure, operate, and troubleshoot medium-size routed and switched networks.. Please click here for a pdf version of some of our Cisco courses.